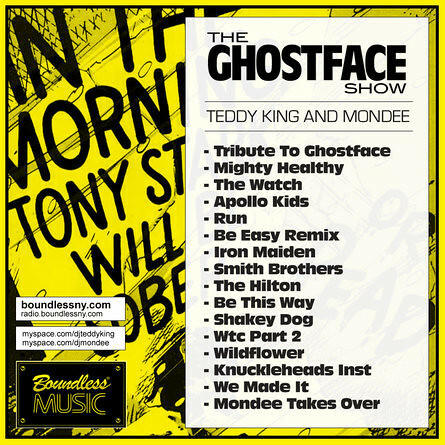 MissInfo.tv » Things I like: DJ Teddy King and Mondee’s The Ghostface Show mixtape! Things I like: DJ Teddy King and Mondee’s The Ghostface Show mixtape! A while back, the homie Teddy King sent over his really good Nas rarities mixtape, “Surviving the Times,” and I’m still playing it on the reg (c) kenny powers. 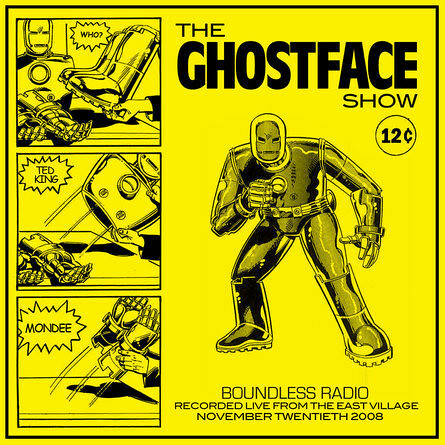 Now he and partner Mondee have dropped the download for The Ghostface Show. Along with some of my favorite GFK tracks, like “Wildflower,” I love the artwork by Jimmy Papers, the design director of King Stampede streetwear. Cop King Stampede and more wears at BoundlessNY. full tracklisting after the jump…. Yo i swear Boundless own King Stampede. Never seen it anywhere else but there. yes, they are related businesses. but KS is a good brand. In fact, they consistently have clean designs, quirky, and not so cliche.